Jimmy Swaggart (kids: Google) got in trouble because he couldn’t keep his pants up while passing cheap motels on Airline. Apparently, neither could Tullian Tchividjian. Tchividjian, the grandson of Billy Graham with the funny name, admitted a few days ago to having an extramarital affair. Tchividjian had been pastor of Coral Ridge Presbyterian Church in the Miami area; he resigned immediately upon admitting the affair. Tchividjian took over as pastor of Coral Ridge back in 2009, when he succeeded the late James Kennedy. Kennedy had been a very influential figure in the Religious Right, a founding board member of Jerry Falwell’s Moral Majority, and author of the Evangelism Explosion curriculum. Tchividjian had a wild youth, moving out of his home and living a life of hedonism as an adolescent. He later came back home, came back to faith, and eventually found his way into the ministry. Tchividjian’s uncle Franklin Graham, president of Samaritan’s Purse, went through a similarly rebellious phase early in life. (Preacher’s kid. What did you expect?) But now he is back in the fold and all about politics and the culture war. I wanted the city of Ft. Lauderdale (my hometown) to know that we were going to become a church in the city, for the city. I made it very clear from the outset that we were going to be a church that rolled up our sleeves and got our hands dirty in service to our city. I said that if our ministry was not attracting the same kinds of people that Jesus attracted, then we were not preaching the same message that Jesus preached. Most people loved that! But some did not. This led to a contentious split in which several hundred members left and started their own church, which would maintain the commitment to culture-war evangelical Christianity at Coral Ridge prior to Tchividjian. Tchividjian went on to become a rising star in evangelicalism. With a dynamic personality, a huge church, a blog, an active Twitter feed, a successful writing career, crazy good looks, and scads upon scads of hipster cred, what was not to like? His quasi-Lutheran teachings with a heavy emphasis on law, gospel, and the proper distinction thereof, one of the key emphases of Lutheran teaching and belief, were a word which thousands upon thousands of evangelicals were dying to hear. Tchividjian was part of The Gospel Coalition, a network and speaking/conference/blogging circuit consisting of many of the leading names in Neo-Reformed Calvinism, including Tim Keller, Don Carson, and Russell Moore. His quasi-Lutheran writings attracted huge amounts of vitriol from the other TGC members, but got them to basically expose themselves as crypto-Papists in the process. That didn’t sit too well with them, and eventually he was forced out. So he took his blog and started his own coalition called Liberate, which invited several prominent Lutherans to participate. Obviously that is now shut down in light of current events. And now, here we are, with the Tchividjian family joining the list of those that will be having an extremely awkward Thanksgiving dinner this year. This would be a prime opportunity for all the TGC types who had their noses tweaked by Tchividjian’s writings to come flying out of the woodwork, basically saying, “See? We told you this guy was weak on sanctification, and look where it got him.” Hasn’t happened yet. Perhaps they’re otherwise occupied with the conservative clown show over last week’s Supreme Court ruling, and they managed to let this one slip by them. But there’s still time. If anything, this affirms the doctrine of total depravity, which is one of the key elements of the Christian faith. Most of the TGC guys come from confessional churches, where week in and week out the congregation confesses in some form or fashion that they are all wretched sinners in need of grace. While most of megachurch evangelicalism is generally resistant to such liturgical flourishes, we still affirm the doctrine of total depravity, which holds that all people are corrupt and sinful and on a path which will, if not for the grace of God, end in eternal separation from God. So don’t be surprised to see people acting like sinners. Even big-time pastors. When Tchividjian took over at Coral Ridge, he said in an interview that “I learned that God’s capacity to clean things up is infinitely greater than our human capacity to mess things up.” We can only hope that those words prove true in this situation. 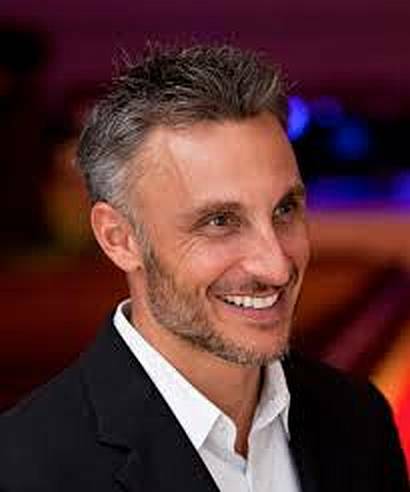 And Pastor Tullian, whatever you do, please please please do not pull a Mark Driscoll. At least give us a chance to miss you before you get back into the ministry saddle. For an insightful look at what Tchividjian looked like to a real Lutheran and why some of his emphases made real Lutherans uncomfortable even as they envied his success and appreciated all he did to get the law-gospel message out there, read this piece by Lutheran layperson Levi Nunnink. –Rejoice. Not in the decision, of course, but, as Paul says, “Rejoice in the Lord always”. Rejoice in what exactly? Let’s just note the big things: That God has not gone anywhere. That Christ’s death and resurrection remain the power of salvation for all. That the gospel still goes forth. That the gates of the Supreme Court or Congress cannot prevail against Christ’s church. That there is nothing that can separate us from the love of God in Christ Jesus. That the kingdom will come—and that there remains a great deal of vital work for us to do in the church and in society until that day. –Repent. Instead of pointing the finger at outside political and cultural forces arrayed against the Church, we would do well to focus on ourselves and what got us here. What actions and attitudes have we imbibed that contribute to our culture’s dismissing our ethics? Our homophobia has revealed our fear and prejudice. Biblical inconsistency—our passion to root out sexual sins while relatively indifferent to racism, gluttony, and other sins—opens us to the charge of hypocrisy. Before we spend too much more time trying to straighten out the American neighborhood, we might get our own house in order. –Rethink. Think through what it will look like to show love to the gay people who come to visit your churches. –Re-engage. As the American church has lost its privileged status in society, many say that it is now in exile and at the margins. That is true to a certain extent, but there are still numerous opportunities for the church to engage in what remains essentially a free society. Use these opportunities for the common good by becoming peacemakers. –Reach out. Up until now, gays have seen us as political enemies. Now that we have lost, they may be willing to engage us as human beings. Take advantage of these opportunities. –Rejoice. We live at a critical point in history, when we are addressing a host of issues related to human sexuality. How we respond to these issues will shape the way in which believers engage these issues for centuries to come. That exploding sound you hear in the background is perfectly normal around here whenever the Supreme Court issues a ruling that evangelicals don’t like. Yep, when it comes to outrage, we totally got this. What Is the Center of the Christian Faith? We’ve spent a lot of time lately talking about things that are not the center of the Christian faith, and about people and movements that make these things the center of the Christian faith. So today I thought it best to take a step back and talk about what is at the center of the Christian faith. Not a systematic theology or point-by-point doctrinal statement. Who is invited? “…All you who are weary and burdened”. “If anyone…” Jesus said. All are invited. All are addressed. All are included. Why does this invitation matter? Because it came from a guy who predicted his own death and resurrection and then pulled it off. If anyone can do that, you go with whatever he says. And if what he says is “Come to me”, you come. This is not an invitation into an ideology or a systematic theology. This is not an invitation to sign your name to a twenty-point doctrinal statement listing all the things you have to believe in order to be Christian. This is not an invitation to join the movement to secede from the Union if the Supreme Court approves gay marriage (sorry Baptists). This is not an invitation to the latest weight-loss scheme inspired by the book of Daniel (sorry Rick Warren). This is not an invitation to learn better money management principles (sorry Dave Ramsey) or strategies for resisting temptation. This is not an invitation to get your purity ring and join the purity movement. This is not an invitation to debate the finer points of total depravity or to join the fight for inerrancy or complementarianism. This is an invitation from God, into the very heart of God. All that is asked of us is to come. …then you are not answering the invitation. As Christians, we are God’s ambassadors, authorized and tasked with extending this invitation to the entire world. There is nothing to add to this invitation. The fact that we get to make the invitation does not mean that we get to add on our own additional requirements or redefined meanings. There is no better, higher, more spiritual, victorious, or whatever you care to call it, Christian life apart from coming to God, by faith, through Jesus. This coming to God, by faith, through Jesus, is not something you do once when you walk the aisle or raise your hand at the church service/crusade/youth camp event and then you’re done with it. Instead it is something you continue to do all your life. There is no other invitation except the invitation from Jesus, to come to Jesus. That is the center of the Christian faith. Today I wish to direct your attention to an article which recently appeared on the Desiring God website and which was linked approvingly by several of my Facebook friends. The article is entitled “Dads, Date Your Daughter’s Boyfriend“. On the surface, this sounds like good advice, a call for fathers to become involved in practicing intentional discipleship towards young men who are in relationship with their daughters. Yet when I look closely, I see something which makes sense within the context of an ideology in which women count for nothing unless they are under the covering of and in submission to male authority, whether that of their fathers or their husbands. This ideology is profoundly anti-Gospel, as it flies in the face of the message that the kingdom of Christ has come and all the world’s ways of doing things are finished. This ideology seeks to keep in place the distinctions of the ancient Greek/Roman world as reflected in the distant mirror of contemporary evangelicalism, in which men (and specifically powerful men) are leaders and the role of women is to submit to them. Yet in the new community and kingdom which Jesus has established, all the distinctions of the world, and specifically the distinctions of gender, are finished. This is not to say that men and women are interchangeable, as the more liberal elements of our society would like us to believe. The difference between male and female is woven into the very fabric of our being, so much so that male and female are two completely and totally different experiences of being human and it takes a great deal of empathetic imagination for one to understand the other. Yet this difference is not such as to justify treating women as second-class, and certainly not such as to justify believing that women count for nothing unless they are under the covering of and in submission to male authority. To quote 1 Corinthians 11:11-12, in my own loose paraphrase: Woman comes from man, to be sure, but man is born of woman. And both man and woman come from God. In light of this, judge for yourselves if it is right to believe that women count for nothing outside the covering of male authority. Read the article and judge for yourselves if I am making a big deal out of nothing, or if my assessment of it truly makes sense. Now I want you to realize that the head of every man is Christ, and the head of the woman is man, and the head of Christ is God. Every man who prays or prophesies with his head covered dishonors his head. And every woman who prays or prophesies with her head uncovered dishonors her head–it is just as though her head were shaved. If a woman does not cover her head, she should have her hair cut off; and if it is a disgrace for a woman to have her hair cut or shaved off, she should cover her head. A man ought not to cover his head, since he is the image and glory of God; but the woman is the glory of man. For man did not come from woman, but woman from man; neither was man created for woman, but woman for man. For this reason, and because of the angels, the woman ought to have a sign of authority on her head. In the Lord, however, woman is not independent of man, nor is man independent of woman. For as woman came from man, so also man is born of woman. But everything comes from God. Judge for yourselves: Is it proper for a woman to pray to God with her head uncovered? Does not the very nature of things teach you that if a man has long hair, it is a disgrace to him, but that if a woman has long hair, it is her glory! For long hair is given to her as a covering. If anyone wants to be contentious about this, we have no other practice–nor do the churches of God. The traditional view of this passage is that women ought to show submission to men in church gatherings. Many commentators who hold to the traditional view have speculated that the backstory behind this passage is that there were “wild women” running around the Corinthian church, disturbing the community through their loose morals and lack of self-control, and that Paul is here attempting to bring them into line. But think about this: If the traditional view of this passage is right, then doesn’t that fly in the face of what Paul says in other passages and other letters? Doesn’t that fly in the face of his overall message that in Christ a new creation has come and all the social/cultural distinctions of this world are irrelevant, including the distinction between man and woman? Not to say that men and women are interchangeable, but that the differences between men and women are not such as to warrant women being accorded second-class status in our churches and communities. The issues in the Corinthian church, which Paul speaks to in his letters, can be traced back to the overarching theme of dominance: Those who have social cache were lording it over those who didn’t have quite so much of it. Influential teachers had arisen and fractured the unity of the community as different believers flocked toward the influence of their teacher of choice. Cultural values of the wealthy were being imported into the Corinthian church; this led to unequal treatment of those with lesser wealth and status at the Lord’s table and the possibility of lawsuits. There was an abundance of hubris with respect to spiritual gifts. There were disagreements on sexual conduct inside and outside of marriage, and on eschatology, especially the resurrection and reigning in glory. In light of this, judge for yourselves which is a more likely backstory for the passage in question: The “wild women” theory mentioned above, or this: Some articulate, eloquent males had risen to prominence in the Corinthian church, and sought to implement some oppressive and misogynistic practices that were contrary to the gospel freedom which Paul espoused. Specifically, they wanted women to have their heads covered during worship gatherings. Why? Because they wanted to display their glory, honor, and supremacy on their heads, and in that culture short hair, bald heads, etc. were perceived as indicators of these things. And they wanted the women of the Corinthian church to reflect their glory, honor, and supremacy back to them by what they wore on their heads, namely by keeping their heads covered as a sign of submission to them. In other words, these males were importing the Roman culture of honor and shame into the Corinthian church, and they wanted it to shape what worship looked like. Men and women are not interchangeable, as the more liberal elements of our society would like us to believe. Male and female represent two completely and totally different ways of being human and experiences of being human, and it takes a great deal of empathetic imagination for one to understand the other. But the differences between men and women are not sufficient to warrant treating women as second-class. That is a denial of the Gospel message which says that Christ has come into the world and all of the world’s ways of looking at things are finished. It takes a great deal of creative imagination to make a case that, in this one passage, Paul was advocating for something which flies in the face of what his Gospel message is all about. Lucy Peppiatt and Bruce Winter have both written books about this passage. Via OpEdNews. This is true on both sides of the political divide, but we especially see it in conservative evangelicalism, in our discussions on gay marriage, women in ministry, and other hot-button issues. In ideologies there is not Jesus: in his tenderness, his love, his meekness. And ideologies are rigid, always. Of every sign: rigid. And when a Christian becomes a disciple of the ideology, he has lost the faith: he is no longer a disciple of Jesus, he is a disciple of this attitude of thought” For this reason Jesus said to them: ‘You have taken away the key of knowledge.’ The knowledge of Jesus is transformed into an ideological and also moralistic knowledge, because these close the door with many requirements. The faith becomes ideology and ideology frightens, ideology chases away the people, distances, distances the people and distances of the Church of the people. But it is a serious illness, this of ideological Christians. It is an illness, but it is not new, eh?